YouTube Promotion | How To Skyrocket Your YouTube Traffic? HomeYouTubeYouTube Promotion | How To Skyrocket Your YouTube Traffic? YouTube Promotion: What are the benefits of promoting YouTube? How do we meet our YouTube promotion goals? How do we generate more views and conversions? What tools does YouTube offer? 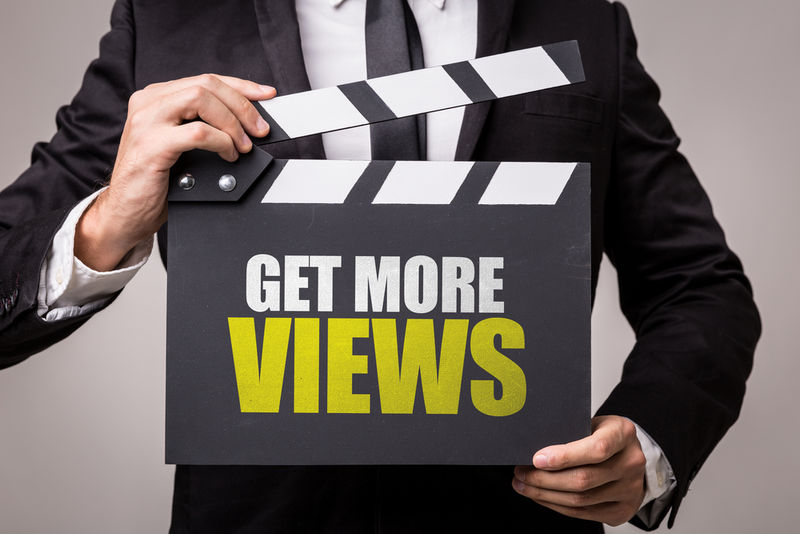 How to increase the visibility of your videos? Over 1 billion users globally, that is, almost a third of all people on the internet. At content level, 400 hours of video are uploaded to Youtube every minute. At the level of content creators, there are over 1,000 channels that reach 1,000 subscribers each day. This shows that even those who begin lately to develop their accounts have the chance to reach a rather large number of subscribers. The number of channels that reached 1 million subscribers increased by 75% in the last 12 months. The ideal video duration is 1-2 minutes. Why is it important to have subscriptions on Youtube? We are brand ambassadors for our channel and share our content. They are the ones who say what organizations are doing and, ultimately, it means promoting without being specifically requested. ONE // How do we become easier to find on Youtube? In order to be easily found in searches, the title and description of the video are essential. Identifies the type of content (eg tutorial, vlog, etc.). All of this will make it climb into the hierarchy of search results and be more easily discovered by users. In the "Show More" area of the description, it would be good to have links to social media pages because it is good to cross-promote all available channels. All of the above helps us to start and support a direct and immediate discussion with our audience and increase our chances of loyalty. Thumbnail is the photo that appears until the video is actually accessed. The images should be uploaded at full resolution because the screens on which the thumbnail will be displayed will be varied. All of the above make the thumbnail a customizable element that can attract many more users. In fact, 90% of the most accessed videos on Youtube have a custom thumbnail. The Youtube channel is the place where all the videos uploaded by the user leave, it is similar to a Facebook News Feed that the user can build to highlight the best parts. The Home tab appears differently for subscribers and non-subscribers. For those who have not yet subscribed to that channel, you can set up a channel trailer that only they can see and where it is important to put either the last video you upload or a video that embraces what the NGO does that we promote it (mission, vision, etc.). Thus, users will know which page they have reached and will be able to decide whether to subscribe or not. Sections allows you to place your own content on the first page of the channel that we consider the most relevant, which we consider to explain what the organization does. Creating playlists helps content be easier to find on your YouTube channel but also in search results. FOUR // Audience interaction with Youtube platform - How do we direct the audience to take action, not just watch videos? It helps to direct the user, driving it on the "marketing funnel" path - eg "download application", "find out more", "sign up on site" etc. I allow "video owners" to track a number of relevant indicators for them. Donation cards: Allows the user to open the Youtube card and access a donation option. They increase engagement and leave the viewer with a last impression. It is transparent and can be added from the video editor. There is also a branded watermark variant that expands when the viewer goes over with the mouse and offers the subscription option to the channel. It is good to consider the ideal mix of content for our channel. Typically, organizations should not release more than 1-2 hero videos a year because their production requires a lot of resources. In addition, this type of material has a very large impact, which means that it does not take much. Based on interests expressed by subscribers (comments, etc. ), this content is delivered at regular, predictable intervals so that the public knows when to come back to see new material. This type of content is supportive and helps the organization to be perceived in a positive way. With the three types of content above (Hero, Hub and Hygiene), an annual planning can be done. Ideally, Hygiene content should be constant, hub content may be posted in instances for a fairly long period. During breaks (maximum two) between the Hub content series, you can enter the Hero type content. The organization and content plan can also be done with the help of the calendar so that the best times, the relevant trends, or the relevant promotion days are identified. SEVEN // Put the "you" on Youtube. How do we have a conversation with our followers? Video content users can turn into content creators. Those who become content creators are generating promotion in areas of interest to the organization without this promotion being specifically requested. As this happens, it's important to know what people are following the channel and build mechanisms to engage them actively. EIGHT // Interaction with "people behind the screen"
It is important for the organization not to be perceived merely as a brand or entity, but to be the human factor - What happens behind the organization? Who are the people behind the organization and what stories do they have? How can you interact with them? All this generates familiarity, credibility, discussion, and brings the organization closer to her audience. NINE // Live. Is happening now. People want to know and take part in what's happening around them in real time. In this context, we can interact with them through, for example, a live live chat (a series of experts who respond in real-time to chat questions). In cross-promotion, it's about promoting multiple Youtube channels that find a good context to promote each other. A recommendation is much more relevant if it comes from someone we appreciate, so this kind of promotion is quite effective - audiences meet on a common ground. When we identify YouTube channels with content similar to ours or that track a common cause, we can initiate a collaborative discussion in which we either produce a longer, shared video or two different videos in which we share the discussion and we refer to the end of the video to see the other half produced by our collaborator.